Stable isotope analysis is a powerful tool for the evaluation of groundwater origin and groundwater dynamics, specially when the observation points and recording periods are limited. 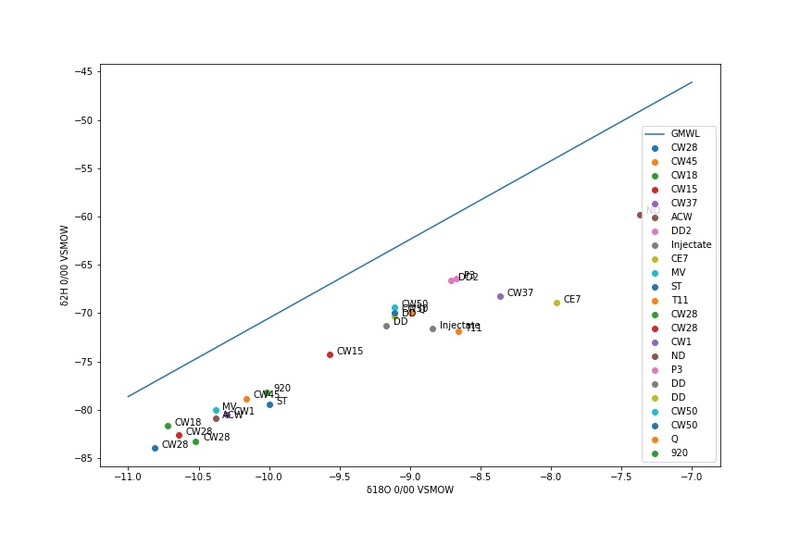 Isotope representation can be done with any spreadsheet software, but the workflow is defficient specially when plotting scatter points, solid lines, labels and legends. 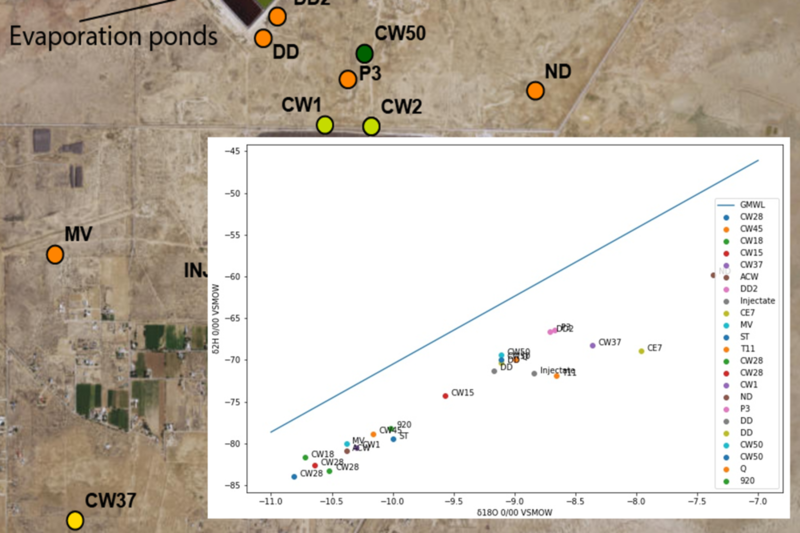 This tutorial shows a the complete procedure to represent a stable isotope representation of groundwater samples from remediation site in New Mexico, USA. The script is done with Python 3, Pandas and other packages that come alread installed on the Anaconda distribution. Code for the representation of the Global Meteoric Water Line is also included as well as options for the figure storage. For this tutorial we will use famous visualization library Matplotlib and some packages that come already installed on the Anaconda Distribution for Windows. One powerful way to deal with tabular data is to use a Pandas Dataframe. In this part we open a Excel file and create a dataframe with an index definition. In order to compare the isotopic signature with the global precipitation GMWL we need to create an array that represents points over this line. But first we need some basic statistics about the distribution of deltas from 18O.